Former NFL Quarter back, Jeff “Shake-N-" Blake signs on as Official Spokesman for Maxlife Direct! News/San Antonio, TX- Amidst the current Super Bowl controversy about deflated balls, we are reminded that not too long ago there was another Super Bowl controversy regarding Ray Lewis and the infamous deer antler spray. Deer antler spray has continued to stir up controversy in several major league sports. Although with all the questions and controversy we are still left with no real answers to why this product is banned. Jeff Blake, signed on a spokesman this week for the company after using the product an getting amazing results. Blake also wanted to help raise awareness of this product and its benefits for athletes and bring attention to the fact that this All Natural product is still being banned by major league sports for no real reason. Jeff Blake is just one of the many former and current pro athletes that have being using, endorsing and supporting this product. Last year the PGA lifted the ban on Deer Antler Spray after reviewing and testing the product they came to the conclusion that this product is safe and natural. Maxlife is very excited to have a legend like, Jeff Blake as a spokesman for the company. Be sure to look for Maxlife and its popular vehicle in Phoenix at the Pro Bowl, PGA, and Super Bowl events that they are sponsoring. Jeff Bertrand Coleman Blake (born December 4, 1970) is a retired American football quarterback who played in the National Football League. Although he finished his career with the Chicago Bears, he was formerly a quarterback for the New York Jets, Cincinnati Bengals, New Orleans Saints, Baltimore Ravens, Arizona Cardinals and Philadelphia Eagles. He was drafted in the sixth round of the 1992 NFL Draft by the Jets out of East Carolina University. His only Pro Bowl appearance came with the Bengals, when he was selected for the AFC team. In that contest, Blake threw a Pro Bowl record-long 92-yard touchdown pass to Yancey Thigpen. 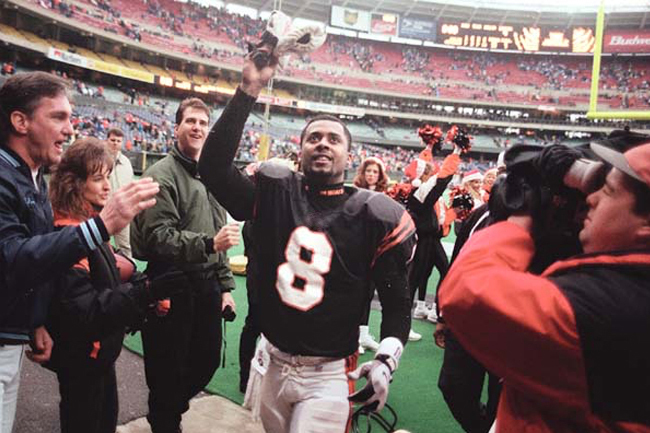 Blake's best seasons came with Cincinnati in the mid-to-late 1990s (when he was often referred to as "Shake-N-Blake" by local media and fans); he established great rapport with Bengal receivers Carl Pickens and Darnay Scott, helping the former vie for the receiving title in 1995. 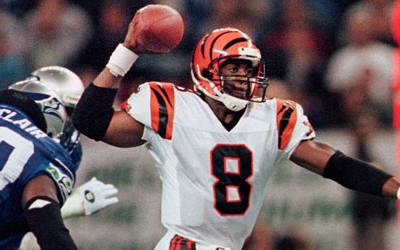 Blake left the Bengals after the 1999 season. He signed with the New Orleans Saints as a free agent. Blake started 11 games at quarterback before breaking his foot late in the 2000 season and being replaced by Aaron Brooks. 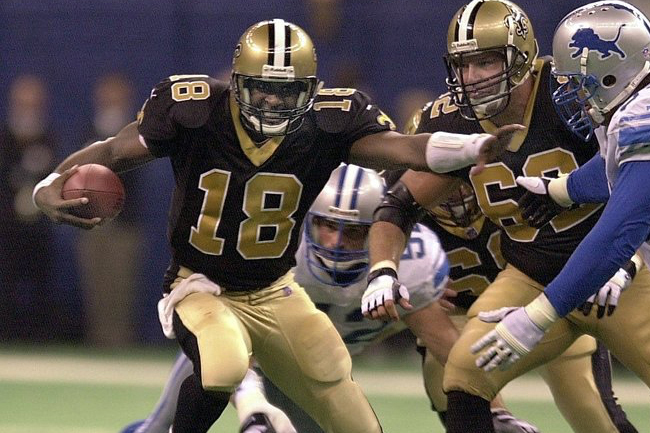 Blake left the Saints after the 2001 season. He started 11 games for the Ravens in 2002 and 13 games for the Cardinals in 2003. Blake was signed by the Chicago Bears before the 2005 NFL season to replace back-up quarterback Chad Hutchinson. Following an injury to the Bears' starting quarterback, Rex Grossman, coach Lovie Smith opted to select rookie Kyle Orton to fill the slot. During the last game of the regular NFL season, Blake was put in to replace Kyle Orton during the fourth quarter, completing eight of nine passes. At the conclusion of his fourteen-year career, Blake amassed 21,711 passing yards, with 134 touchdown passes, and 99 interceptions. A mobile quarterback, Blake ran for 2,027 career rushing yards and 14 touchdowns. He made 100 career starts. We are pleased to welcome Jeff to the MaxLife Direct family! Individual Results may vary from Person to Person. Examples and any Testimonials displayed on this site are potential exemplary results and are not meant to represent, gaurantee and or claim that everyone will receive the same or similiar results.